Like plump lips and bright eyes, long, lush and thick lashes are one of the facial characteristics many people yearn for. In recent years, lash extensions have become a common indulgence that many people spend money on, often returning to the salon every few months for touch-ups. As a culture, we obviously highly prize lush lashes if we’re willing to go to such great lengths (pun intended). But what if we didn’t have to take such measures? Taking care of your lashes properly and using certain products can help immensely. Although it’s common, using eyelash curlers, mascara and false lashes can have a detrimental effect on your natural lashes over time. The constant tugging from eyelash curlers can cause hair to become pulled out or break prematurely. Mascara can also lead to problems, especially because removing the hardened formula (particularly waterproof formulas) can force you to be a little more aggressive, thereby pulling out some strands of hair. It’s the same story with the application of false eyelashes. When removing them, you end up tugging on your natural lashes and potentially plucking them out. 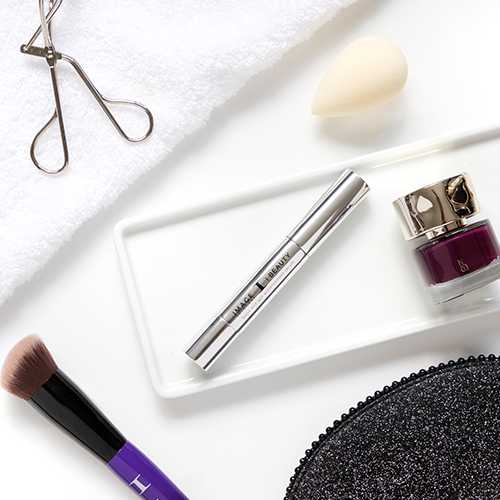 Go easy on your lashes. Remove waterproof or stubborn mascara with oil-based makeup removers by gently rubbing your eyes in a circular motion when washing, and don’t pull at them. It’s all about treating your eyelashes with care and respect! Want to enhance your lashes the natural way, with no glue nor tools nor extensions? 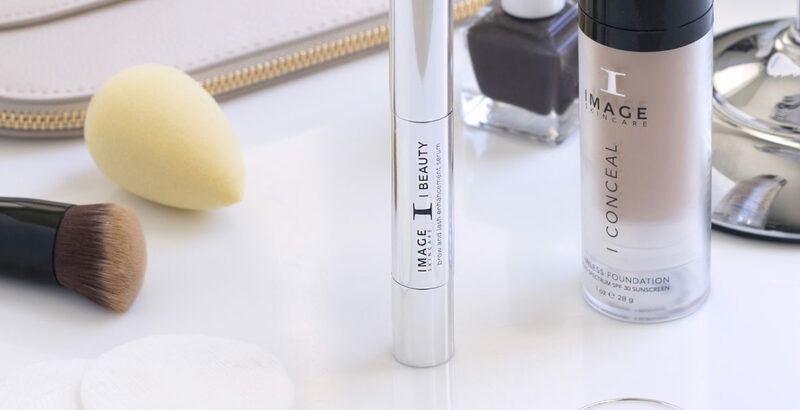 IMAGE Skincare’s Beauty Brow and Lash Enhancement Serum is specially formulated with a bevy of powerful ingredients, including peptides, conditioners and plant stem cell extracts, to support healthy follicles, fortify and condition brow and lash hair and promote a thicker, fuller appearance. Keratin-supporting peptides encourage the look of thick, healthy lashes and brows. Keratin is a fibrous protein that composes much of hair, and studies have shown that peptides can help strengthen weakened or damaged hair strands. Meanwhile, studies have shown that plant stem cells can also promote the appearance of thicker hair,” which is why we’ve infused the Lash Enhancement Serum with plenty of them. Finally, the conditioning agents in the Lash Enhancement Serum nourish strands and help to lock nutrients into the hair shaft. To use, apply some twice a day to brows and the lash line. You may have heard or read about castor oil having the ability to promote hair growth. There is some anecdotal evidence to support this belief, but more clinical research is needed. One clinical study on castor oil, in fact, states that it causes hair to become terribly matted like a bird’s nest. However, castor oil’s main component is ricinoleic acid, which has shown promise in certain studies as an inhibitor of the prostaglandin that often leads to hair loss in the first place. As for peppermint oil, there are clinical studies to support the fact that it does indeed promote hair growth. But the studies were conducted on mice and not on humans, so more research is needed. So, while there is a possibility that these oils may help bolster hair growth, research is not conclusive and results may not be exactly what you’re looking for. It may feel silly to actually massage your own eyelids, but clinical studies have shown that a few minutes of massage a day can increase hair thickness. The study in question involved nine healthy men who received four minutes of a standardized scalp massage for 24 days. The stretching action on human dermal papilla cells was found to improve the appearance of hair thickness. While this type of research hasn’t been conducted on eyelashes, many people claim it works to have a positive effect on the length and thickness of eyelash hair. Since there is no harm in trying, if you want, use the very tips of your ring fingers (to minimize pressure) and make circular movements along your lids. At the very least, it will help you reduce stress! Always wash your hands thoroughly before massaging your eyelids to prevent the risk of any type of infection. I simply couldn’t depart your website prior to suggesting that I extremely loved the usual info an individual provide for your visitors? Is gonna be back regularly in order to check up on new posts!